Mexican President Andres Manuel Lopez Obrador declared the country’s war on drugs over Wednesday, saying his government would no longer prioritize using the army to capture cartel kingpins. “There’s no war. There is officially no more war. We want peace, and we are going to achieve peace,” he said. Critics, however, questioned the announcement, pointing out that the leftist president has not taken the army off the streets as he pledged during his campaign, and is proposing the creation of a national guard that opponents say would permanently militarize the country. Mexico has deployed its army since 2006 to fight its powerful drug cartels. But the strategy has been widely criticized. Although it has led to the capture of a string of high-profile kingpins, it has also been accompanied by a tidal wave of violence, as the fragmented cartels wage war on each other and the army. 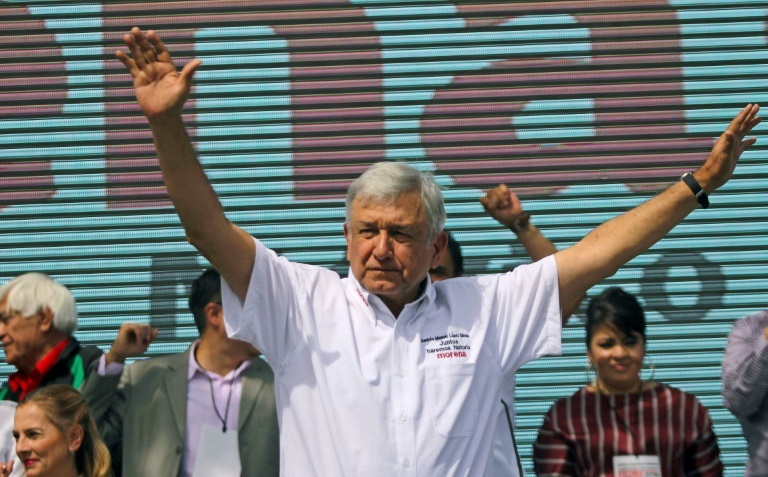 Asked in his daily press briefing if his government had taken down any kingpins since he took office in December, Lopez Obrador said that was no longer the strategy. Mexico has registered more than 200,000 murders since the military was sent into the streets 13 years ago, and some of its states have homicide rates on par with the most violent countries in the world. Last year was the most violent on record, with 33,341 homicides. Lopez Obrador has proposed a series of social programs he says will end the poverty that drives violent crime. But he is also pushing for a national guard with tens of thousands of soldiers that would officially bring civilian police duties under military control. There is a “clear contradiction” in Lopez Obrador’s statements Wednesday, said security expert Alejandro Hope. “His anti-crime strategy barely changes anything, it’s not different from that of previous governments, and even accentuates the use of the armed forces for public security,” he told AFP. Rights groups say the national guard plan would militarize the country permanently. The measure, which requires a constitutional amendment, has passed the lower house, and must now clear the Senate and half the state legislatures.